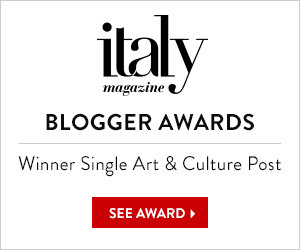 Since I’m skint, and my part of Sicily has 49% unemployment, I’ve been researching how to make money from blogging. If this doesn’t work, my only option will be to work in one of Sicily’s 1,456,998 Chinese shops selling tiny polyester clothes which smell of mothballs. 3. Stay-at-Home mummy blogs about being a mummy and staying at home. The reason for this is obvious, of course. These blogs are of interest to people with plenty of time to spend online. Which type could I write? These are real because nerds do everything via their computer, so of course they will like reading about other computers while using their own one. These blogs used to have a black-background-with-white-writing format, to match their T-shirts. Apparently they’re moving to white these days, since the heavy-metal vampyre phantasie design theme made their eyes go funny. I don’t know how to talk nerd and my computer looks like this…. These are loved by secretaries in their lunch break. Women read these because being being a stay-at-home mother is crashingly boring. For a slummy mummy like me, these blogs are pure escapism. They sparkle with cupcake photos in scrumptious colours, puppies and kittens romping in the neat garden, and cute photographs of children’s hands engaged in craft activities, avoiding showing their faces because there are perverts online. They don’t tell you you’ll wear jogging pants every day and start talking to yourself. 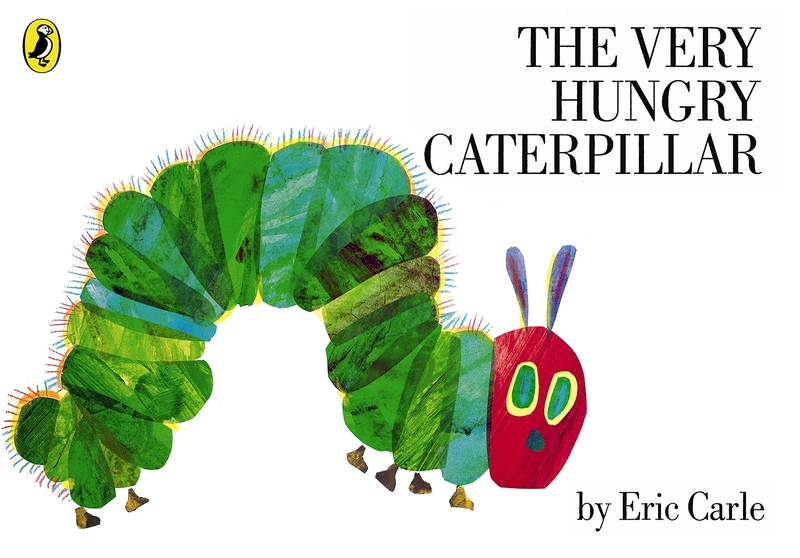 They never mention that reading “The Very Boring Caterpillar” three times a day for two months can make you clinically depressed. The soul-destroying tedium of singing nursery rhymes and building stuff out of Duplo bricks all day, with no adult company whatsoever, goes un-discussed. They gloss over the fact that you’ll do all your poos with a toddler on your lap, who cries so loudly if you lock the door that the neighbours phone Social Services. And God forbid they should admit that, while they’re uploading photos of homemade marshmallows and checking their reader stats, they’ve parked their offspring in front of a Barbie DVD, set on automatic replay, with a maxi bowl of popcorn so she won’t go walkabout. I shall obviously have to beef up my pearls of wisdom on the parenting front. Don’t expect any Domestic Goddess tips from me, though. I am a professional Domestic Slobess. I’ll be laying the reality of stay at home mummy-ness bare for you. Will it drive my reader numbers up into the millions? If I start working in that Chinese clothes shop, I’ll give you the address. Please come and buy something. It was just one loose thread! Can I have a refund? What do Wine, Salt and an English Martyr have in common? I hear your pain! All three of these categories seem to be universally popular and yet I know I wouldn’t read any of them and I don’t know many who would. It like all those brain dead shows with people trying to sing or cook, I’d much rather watch something a bit more stimulating or just different like woodwork or electricians. In fact why do we have to have these amateur shows at all, if I want singers on my TV at least have the professional ones. Then you have America with extreme everything. Extreme house decorating, extreme needlework or the worlds most dangerous roads which though I can see why people do die falling off a high cliff in the Himalayas turns out to be much less exciting or indeed deadly than a drive round the M25 in the rain. 100% agree with every word! I also would love to make oodles of money from my blog, unfortunately I never will. I know zip about technical nerdy things, I am never going to be a mummy and gossip mmm maybe not. I will have to keep blogging about life in Italy and stay poor. Anyway, don’t change your blog style, I love it. Thank you, and same to you – stick to your wonderful blogging please! Ha ha! I love that site…. you’ve got me hooked! You could think about public piazza Sunday gym and Zumba classes. Ridiculously big hit here in southern Tuscany, still on par with Chinese shops. Couldn’t be any worse than Prancercize–look that up while you cogitate on your schemes. Thank you for that laugh!!! I thought Boxercise was ludicrous but Prancercise – oh gosh, I’m going to have to go and do some right now!!! The only one that beats both of them is of course Clownercise, in which you basically do a step class wearing very long clown boots to maximise thigh muscle workout. What about the foodie blogs? Don’t they make money? You are in an ideal place for loads of drool worthy photos of fish markets and baskets of citrus fruit and garlic. I’d have to delegate cooking to my Hubby, who replaces the saucepans every 6 months when the aggregated layers of food I’ve burnt onto them is so hard and thick he deems them unfit for use. Hmm. I’m with Pecora Nora – don’t change your style! I love your humour. Write self-published e-booklets for an alternative view for tourists to Sicily? Informative and funny at the same time. What about writing about sexual adventures … aren’t they popular??? Well, I could easily write “Fifty Shades of Good God did you Really do That?” but I’d only have myself to blame if it all ended in divorce!!! Yours is one of the most relevant, on point, and entertaining blogs that I read. I’m not sure how one makes money off of that, but be true to thyself. Thank you Karen – very kind words. So . . . all that money I’ve been sending you, to send me your . . .
Veronica your blogs are priceless. I have saved them all (is that sad) and when I am depressed, which is often due the world situation brought on by stupid world leaders, I have a good read. I wish I could think of a way you could make money from them. Perhaps a start would be to charge me some kind of medical fee or charge the UK NHS. I’m sending you a big hug! It’s so nice to know all my ramblings can genuinely cheer you up! And I agree the world situation is so depressing lately. The thing that’s upsetting me the most right now is the destruction of all the ancient treasures of the middle east by the ISIS barbarians. I think that last outfit is an example of those typical cheap clothes from the market, where you pull away one loose thread and suddenly you are naked, surrounded by several pieces of free-flying fabric. BTW I noticed lately the massive number of shares your posts are getting – you go girl!! That is awesome (and VERY well deserved) and you could very easily get plenty of advertisers. I am pretty sure that’s why we all love you so much!!!! Do travel bloggers really manage to make money? I thought there were too many people offering good content free, making it almost impossible to turn it into a money-making activity? I absolutely love those poncy house photo blogs and interior design magazines – they provide such a refreshing contrast to what my own house actually looks like. Most of the decorative focal points in my home are made out of Lego. Just last night I had friends over to dinner and put the saucepans on the table. I do have some standards though: my Hubby attempted to put Tupperware on the table and I intercepted him, using our plastic salad bowl instead. Ha ha haaaaa! Brilliant idea!! How many would you like to order? I love celebrity blogs. There, I said it 🙂 They are SO fun. I never go to the other two kinds of blogs :)))) I look forward to seeing you at the Chinese shop! LOL! Just don’t ask me to stitch the unpicked seams back together, OK? I love your blog and hope to see many more posts from you – certainly cheers my day up (I live in Telford and work in Wolverhampton so I need a lot of cheering up – you’re not missing out on much if you haven’t visited ether). I had a holiday in Sicily a couple of years ago (I found you blog during a bout of pre-holiday internet nosiness). We booked a ‘luxury villa’ in Palazzolo – actually it was about 30 miles away and in the middle of nowhere (except for about 200 neighbouring dogs. Remote and far away from crowds? Yes. Quiet? No). Driving to Syracuse during rain and thunderstorms of biblical proportions. I mean truly epic and biblical. Crap your pants time. The Sicilians seemed oblivious, overtaking at 50 miles an hour and causing mini-tsunamis in the process that engulfed our car. Finally getting to Syracuse (still raining) and walking around the old town (beautiful). After a couple of hours my partner relented and we took shelter in a coffee shop. in addition to paying the bill I left a massive puddle of rain water on the floor. A visit from one of the neighbouring dogs. A very big dog. He was clearly a frequent visitor and knew how to open all of the outside doors. No sooner had we got him out of one, he was back in through another, tail wagging, cheeky grin and slavering over the beef I’d got ready for dinner. A trip to Modica. Loved it, loved it. A visit to one of the many Chinese shops (not to buy a dress). It was the only shop open in Canicatti Bagni that sold batteries and we needed one to replace the battery in the smoke alarm detector at the villa. I’m not obsessed with health and safety but the damn thing kept on beeping and beeping and beeping – crying out for a replacement. Like a child wailing. 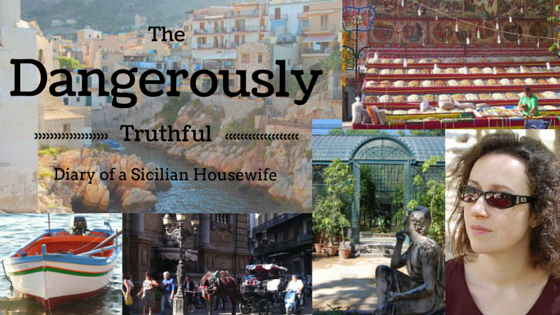 Lest this should put anyone off going to Sicily, don’t be – I’d go back in a heartbeat. Oh that rain! It’s like a monsoon, isn’t it? It scares me too, especially when massive claps of thunder literally make my house vibrate. My worst Sicilian rain experience was on the way back to Palermo from Agrigento, and part of the city was flooded. We sat in the car on the motorway for over 2 hours whilst simply waiting for the rain water to seep away!!! Modica is one of my favourite place sin Sicily, along with Noto and Agrigento.